In my experience, bookshelf speakers are an excellent way to fulfill home audio and theater system needs. They are especially great for bedrooms, office spaces, kitchens, studies, and den areas, as they can provide respectable audio quality without taking up lots of precious floor or wall space, or interfering too much with the general décor. The technological advancements in speaker technology that have been made in recent years in order to achieve sound volume and fidelity in compact speakers are really quite remarkable. 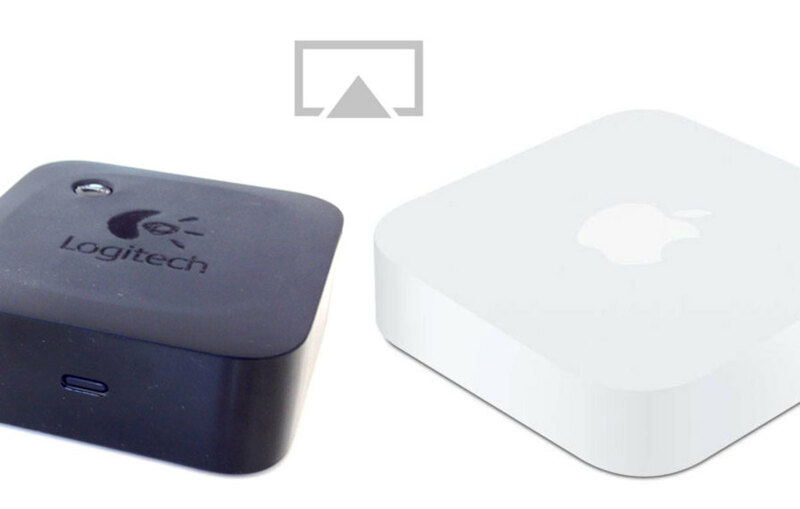 You simply do not need large speakers anymore to achieve an audio quality that is acceptable to most audio buffs. I do often use them in conjunction with a subwoofer to provide an additional boost to the lower frequencies, but not always. It depends on the speakers and the room. Below are three speakers that I feel confident in recommending. 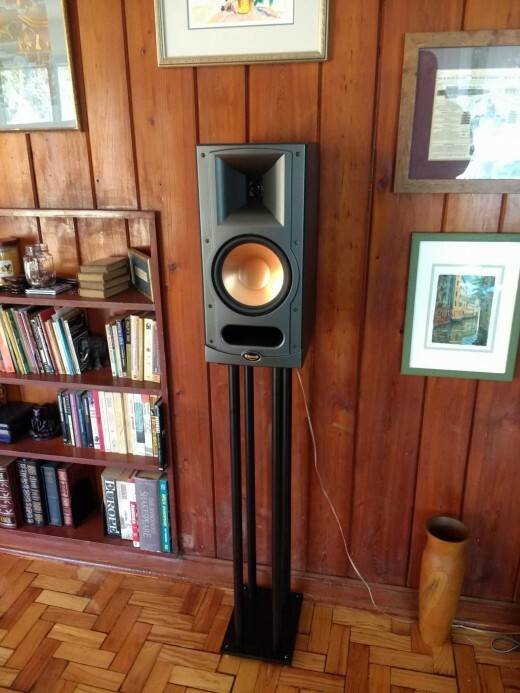 I give some general background to speaker technology, specifications, and set up below, followed by a detailed explanation and links to each of my selections. The drivers, also called cones, are crucial to the audio quality because it is they that have the role of converting electrical energy into the sound waves. Bookshelf speakers typically have two drivers: a woofer and a tweeter. 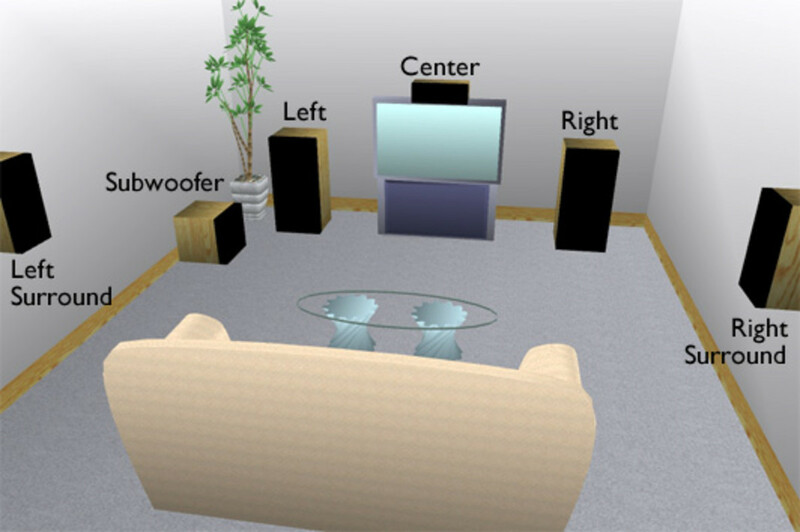 The woofer supplies the bass end of the sound, typically around 40 to 1000 Hertz. Tweeter deal with the high end, sounds, up to around 20 kilohertz. 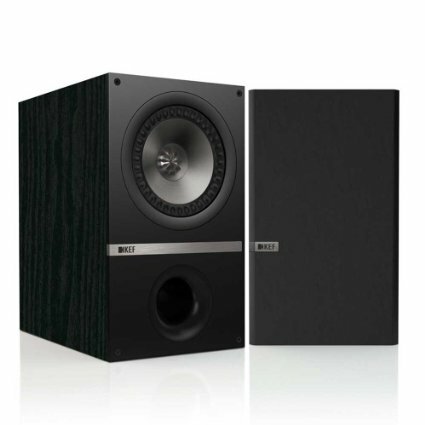 Some speakers are 3-way, which means that they also have mid-range drivers to deal with the mid-range frequencies. There are also full range drivers which are supposed to supply low, mid, and high sounds all from one driver - I would be cautious about buying an inexpensive full range driver, however, as the audio quality is generally not good. I've had a pair of these Sony SS-B1000 speakers in my kitchen for almost five years (I love to play music while I cook and clean). Despite their compact size, they put out 120 Watts of power, which makes them more than capable of filling a small room with some quality sound. The audio is delivered via a 5¼" H.O.P cone woofer combined with a 1" Nano-Fine balanced dome tweeter. My only qualm with them is that I wanted more bass, so I did end up buying a subwoofer to compliment and fill out the sound. 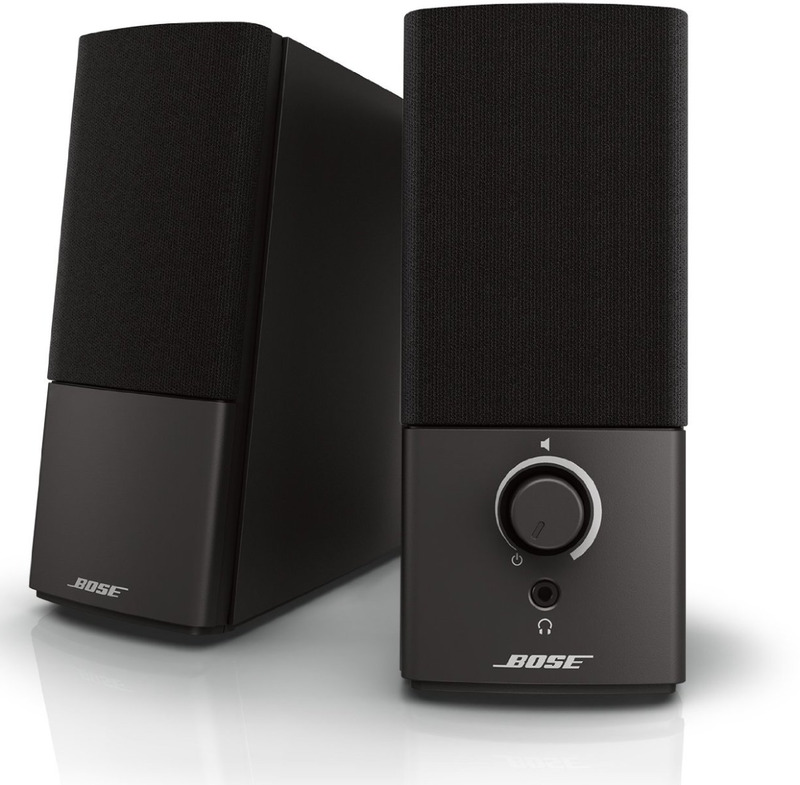 These speakers are difficult to beat when it comes to price, however, and I'm sure that it's a main reason why they are one of the most popular products in this category available. Great value for money, especially if you have a limited budget. Reliable. I've had them for five years and they still perform just as well as the day I got them. I felt I needed a subwoofer to boost the bass end of the sound. 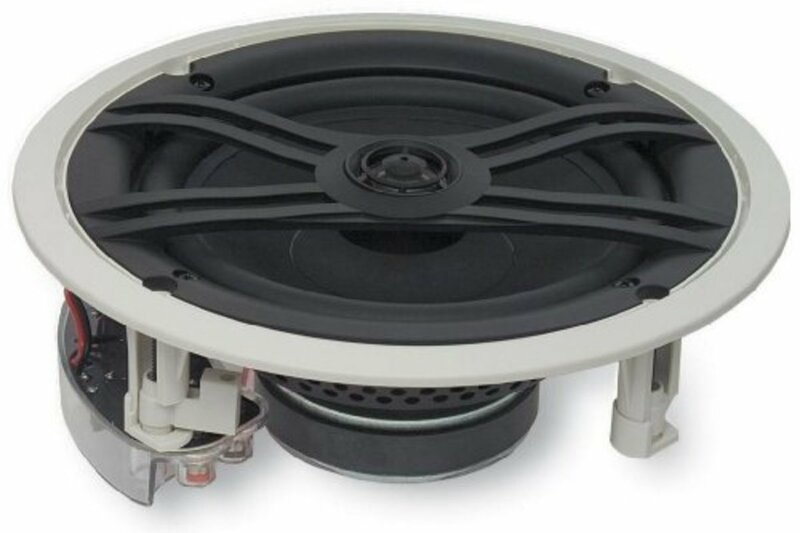 A subwoofer will fill out the low frequency end of your audio, supplying a fuller overall sound with more depth and allowing your bookshelf speakers to work on the mids and highs. Accurate and powerful bass delivery can dramatically improve the audio experience, whether you are listening to music or watching a movie (it's incredible how much actually being able to hear the deep tones improves your experience of a drama!). 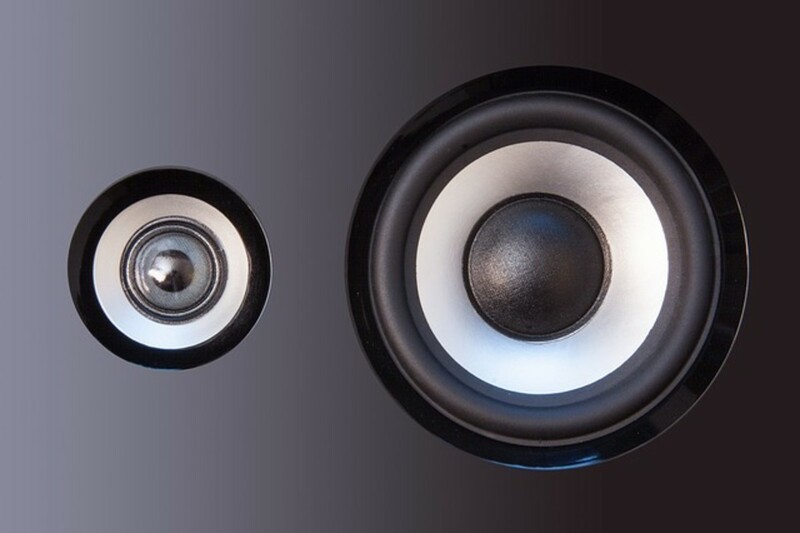 If your speaker does not reach 50 Hz or lower frequencies, then it is not considered to be full range, and you should definitely seriously think about buying a subwoofer. 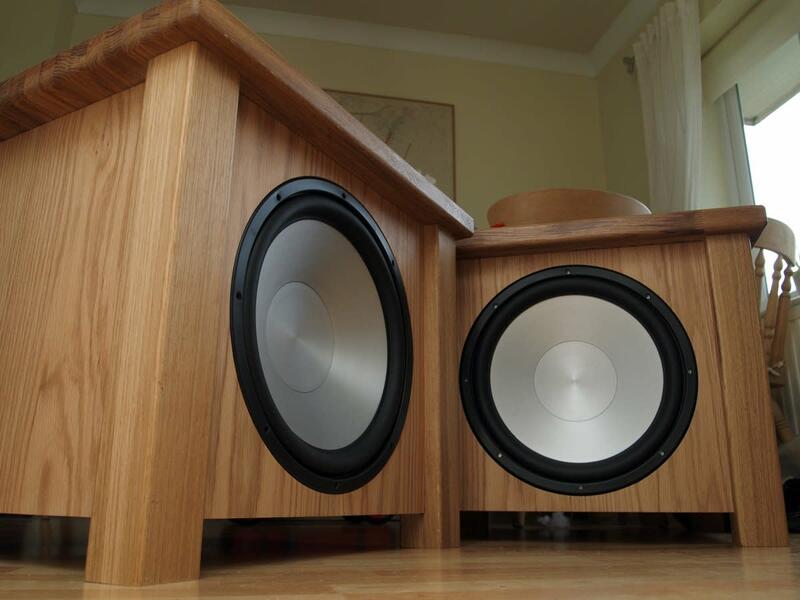 Plus even if your bookshelf speaker does deliver bass, it won't do it as effectively as a sub will. Subwoofers can vastly improve a sound system in my experience, especially when they are complementing smaller sized bookshelf speakers. 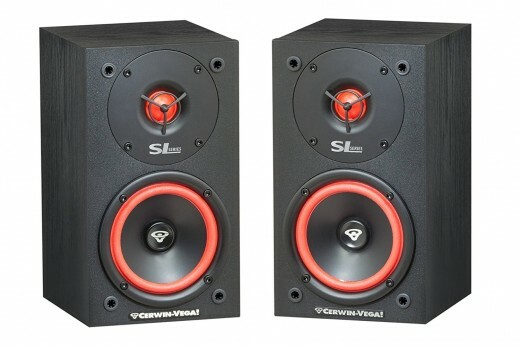 A pair of Cerwin Vega SL5M 2-Way bookshelf speakers. I have a pair of Cerwin Vega SL5M 2-Way bookshelf speakers in my bedroom. They are compact but put out a punchy sound, with an efficient 5 1/4" driver, a 1 inch soft dome tweeter for the highs, and a Bass Reflex cabinet for the lows. A much more expensive speaker might give you slightly crisper sounds in the high register, but the mid-range audio is excellent. The bass is good enough for me to not buy an accompanying subwoofer. These speakers are pretty heavy for bookshelf speakers. That may not matter to you, but it's worth knowing. The KEF Q300B pair feature rigid new aluminium cone technology with increased cabinet space to give extra depth at the bass end. Its bi-wire terminals are gold plated. These speakers are classy in appearance and output. 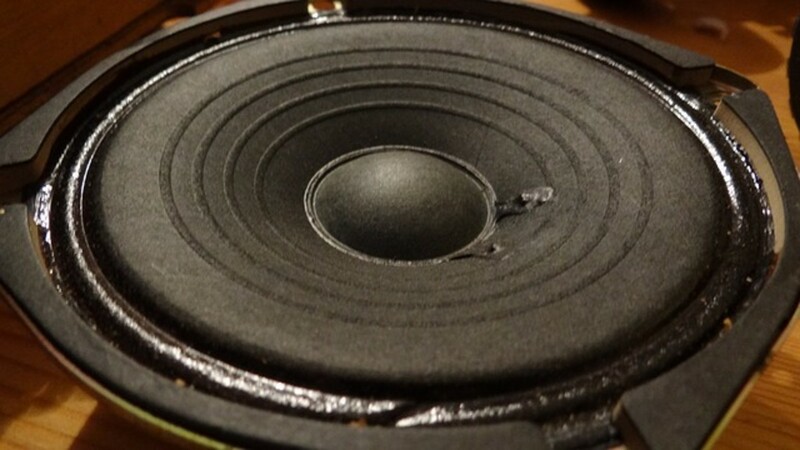 My admiration for KEF speakers goes back some time. Therefore when I was looking for some quality speakers to use in my office space, they were definitely one of the companies on my list. I work from home and spend most of my waking hours listening to music so the audio quality has to be good, even if the room is not huge. These speakers are state of the art, each with a 6.5" Uni-Q driver, a 1" aluminum vented dome tweeter, and generous cabinet space for a bookshelf speaker, meaning increased performance at the treble and bass ends. Outstanding audio, clear and crisp, especially in the mid to high frequencies. State of the art driver technology.. Despite the lows produced being exceptional for a bookshelf, I would still recommend a subwoofer if you like your music to make a thump. Many beginner buyers skip reading through all the technical specifications. 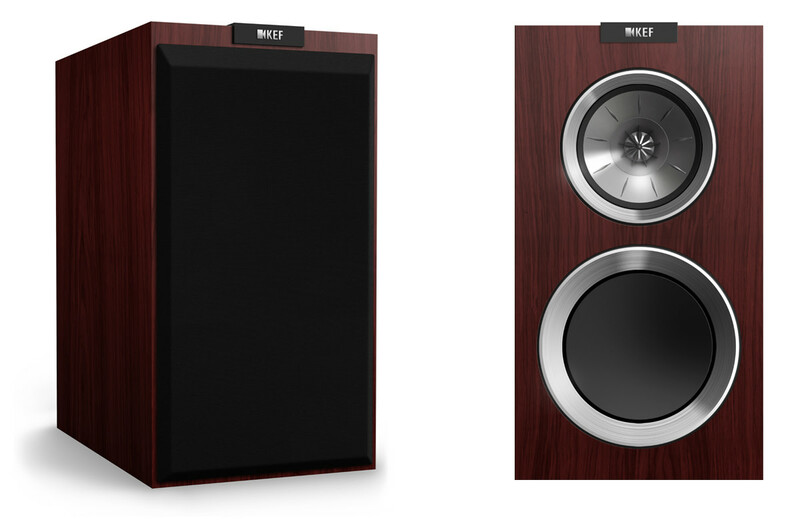 But understanding what the specs mean for each model is essential if you want to buy the right speakers for your needs. Impedance This is a measure of electrical resistance encountered by the speaker driver, normally 4, 6, or 16 ohms. Knowing the impedance can be useful for matching speakers with an amplifier, so that distortion can be minimized. 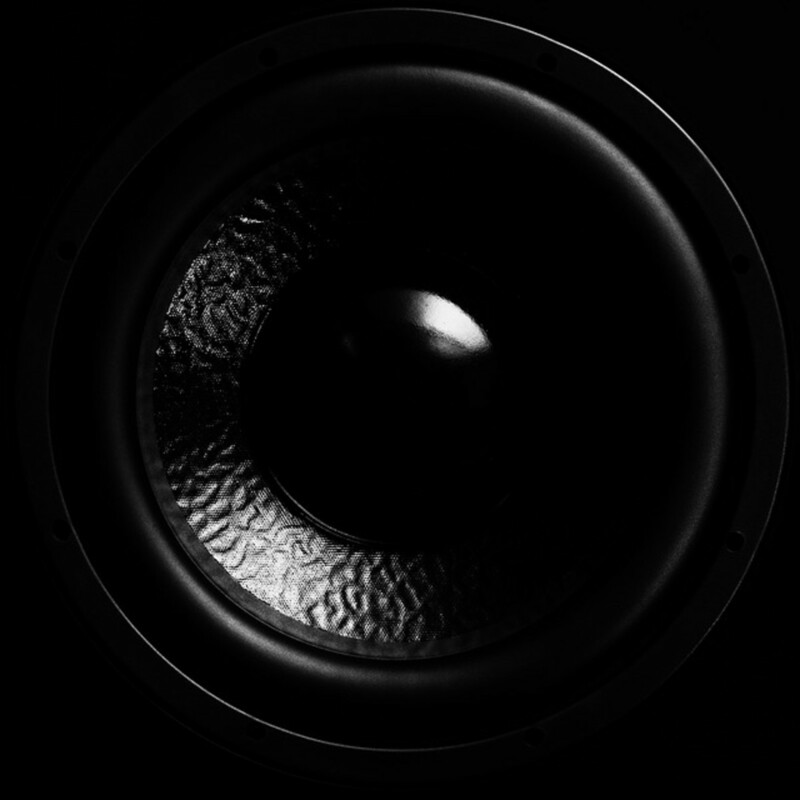 Bookshelf speakers should generally have an 8 ohm impedance. Voltage Sensitivity This relates to how loud the speaker will play at a given voltage and requires special attention when deciding the right match up between an amplifier and speakers. It is usually expressed as X dB per X V input. Most people buying bookshelf speakers will be using a relatively small amplifier so will desire a higher decibel ranking: at least 86 dB. Power Handling Another important spec worth understanding, this spec tells you how much power a speaker can handle and is expressed in watts. See what output your intended amplifier has and try to match the speakers accordingly. I have to disagree with the argument that small speakers sound as good as large. This may be true in extreme cases, such as very expensive small speakers. 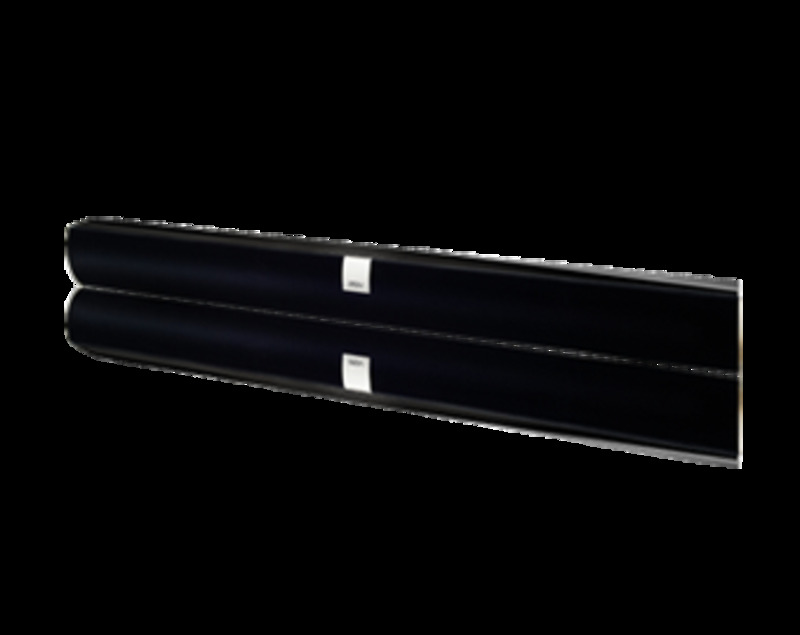 You simply cannot get the same low end response from an 8" sub as you get from a 15" sub. In my opinion, the smaller subs trying to do the work of a large sub sound sloppy and overworked,especially when your really pushing them. A larger sub with better power handling will sound tighter, deeper, and more pleasing. 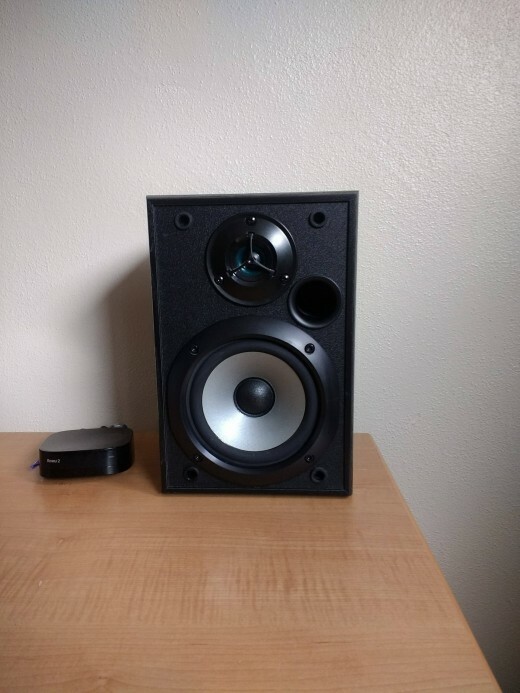 You can get a set of pioneer csg-405 speakers on eBay for $200 that will blow away any small speakers until you start spending thousands, and maybe even then. I think it comes down to budget. If you need great sounding speakers with a mediocre budget, go for the large speakers. If you have a large budget, then get a bigger house so you can get bigger speakers! If you don't believe me, you can get a frequency analyzer app and test your speaker's frequency response. The larger speakers simply do a better job at low frequency. A plus to having them is that you no longer have to buy a powered subwoofer. Interesting I notice you did not mention the Pioneer low end speakers designed by Andrew Jones. They blow away most of the speakers in your list and are cheap. Have you actually listened to them? Greetings fellow audio buff. Nice hub, I happen to agree with you regarding the quality and ability of modern day bookshelf speakers. I used to own a couple pairs of full range tower speakers. I recently sold my Monitor Audio RX8's and now have a pair of KEF R300's. I added a Polk Audio pro sub and I can tell you I have no loss from missing the RX8's. My soundstage is deeper and wider with this new set up. I also happen to own a pair of Polk Audio Rti4 in my bedroom. Very capable pair that I picked up direct from Polk Auidos's outlet at $175. Good job on this hub, I hope you get more readers. Cheers.